The bread aisle at Walmart turned out to be a treacherous place for a 75-year-old Georgia woman who was assaulted by another shopper. 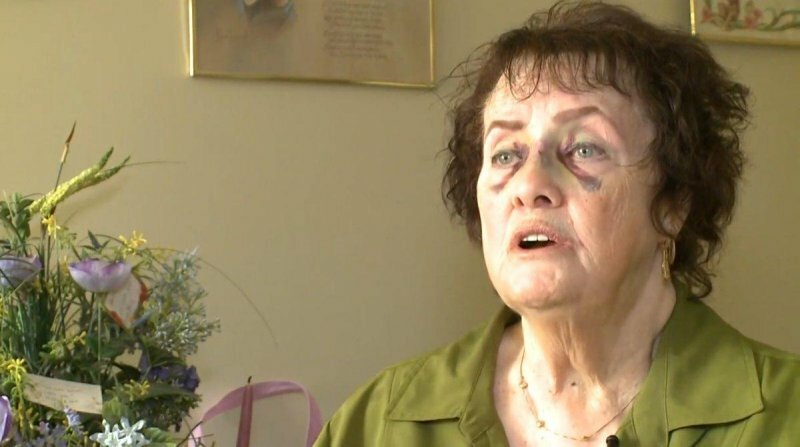 The great-grandmother, who did not want to be identified, said she was repeatedly punched in the face while buying food in the Atlanta area on Sunday morning. “I thought I was safe. I’m in Walmart,” the woman told WSB. The victim was using a mobility scooter to get around when another woman, who would be identified as Alexis Venderburg, almost collided with her. It all went downhill from there. The woman responded to Venderburg, “No, you move out the way” and also used another expletive, according to the station. Venderburg started following her. “There wasn’t anybody in the aisle, and the next thing you know she was jumping on me,” the victim told 11 Alive. Venderburg fled, but returned to the Walmart when she realized she did not have her phone — it ended up in the victim’s possession during the attack. She could not get her phone back, and fled Walmart once again, according to reports. The suspect was identified as Venderburg after cops inspected her phone, and she is being sought by police.